The base version of the Lenovo IdeaTab A2107 16 GB of internal storage, making it an OK choice to store video, music, and pictures. If Lenovo IdeaTab A2107 16 isn't enough, you can expand its storage by up to GB 32 via microSD card. 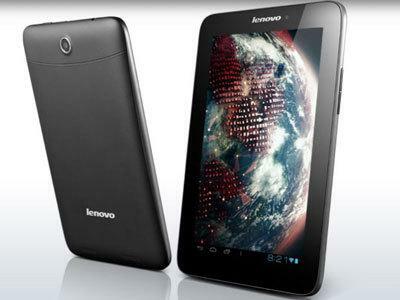 The Lenovo IdeaTab A2107 has two cameras, a 0.3 megapixel front camera and a 2 megapixel rear camera.